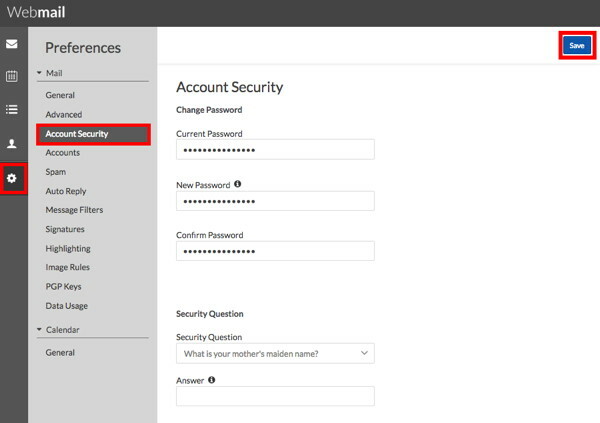 Under Preferences, select Account Security. Note that it is not required to set a security question. After completing the Current Password, the New Password and the Confirm Password fields, remember to click the Save button in the upper right corner.